RenovateRepair.com is a female-owned business, and we have 30+ years of industry experience that you can depend on when you need an expert to help you restore and update your home. 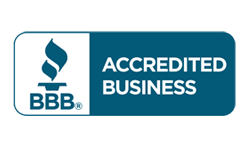 Our mission is to re-side and paint your Cary, NC home using the most qualified crews and the best materials available while providing outstanding customer service. We show up on time for our projects, tell you the honest truth about what your home needs and perform all repairs with best practices in mind at all times. 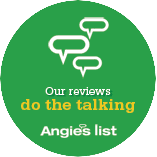 To work with a contractor who’s won the Angie’s List Super Service Award for seven years, call us today. Contact us today to schedule a consultation at your property. We understand the importance of choosing the perfect contractor: one who listens carefully and partners with you to achieve the dream you envision for your home. We also know that a home is where the most important people in the world live, your family. Allow us to help you realize your goals and transform your home. Contact us today to discuss your specific needs. We serve clients within a 30-mile radius of Cary, NC, including Raleigh, Apex, Holly Springs, Durham, Chapel Hill, Garner and Fuquay Varina. Replacing the siding on your home with James Hardie Siding not only increase your home’s curb appeal but it also increases its value, safety, and durability. James Hardie fiber cement products provide low maintenance, are rot and insect resistant and are engineered specifically for our climate to protect against heat, humidity, moisture and cold. When we replace the siding on your home HardieWrapⓇ will precede Hardie Plank, to ensure that your home is protected from the elements. If soffits or trim need to replaced, HardieSoffitⓇ and HardieTrimⓇ are available options. James Hardie siding was chosen to rebuild homes after Hurricane Katrina, then after the devastating fires in California because of its ability to withstand hurricane force winds and its fire resistance.